After releasing Crazy from the Heat, an EP of lounge standards that became a surprise hit during early 1985, and subsequently parting ways with Van Halen while the band was at its commercial zenith, Roth assembled a new backing band: bassist Billy Sheehan (later of Mr. Big); drummer Gregg Bissonette (later of Ringo Starr and Elton John, among others); and guitarist Steve Vai, who had worked previously with Frank Zappa, PiL and Alcatrazz. On Eat 'Em and Smile, Roth returned to a hard rock sound, comparable with that of early Van Halen, albeit featuring eclectic forays into lounge, jazz, and speed metal. Both a critical and commercial success, Rolling Stone wrote that no song on Eat 'Em and Smile was as slick as any of the singles from Van Halen's 5150 album, (which featured Roth's replacement Sammy Hagar) and also opined that Eat 'Em and Smile was much more "trashy fun". Indeed, many of the reviews of Eat 'Em and Smile compared it directly with Van Halen's synth-heavy 5150, often favorably. The extensive North American Eat 'Em and Smile Tour ran from mid-1986 through early 1987. In a nod to his hit solo EP, Roth included two lounge songs on Eat 'Em And Smile, "That's Life" and "I'm Easy". Roth also included a cover of the '60s garage band classic, "Tobacco Road". Two of the album's original songs, however, became its biggest hits. "Yankee Rose", a tongue-in-cheek tribute to the Statue of Liberty, became an MTV and radio hit, rising into the Billboard Top 20. The would-be theme to Roth's then-planned movie, "Goin' Crazy!" also became an MTV staple while hovering near the middle of Billboard '​s Hot 100 during the early autumn of 1986. A version of "Kids in Action", originally by Kim Mitchell (of Max Webster), was also recorded for this album. However, due to time constraints, the song was not included on the release. Billy Sheehan was briefly a member of Max Webster, according to Kim Mitchell: "He was in the band for about three weeks...[but] it didn’t work out. There were no hard feelings and he went on and did really well. I got a call from him one day and he goes 'Hey man I'm in the studio with David Lee Roth, Ted Templeman and Steve Vai and we're covering your tune "Kids in Action" and we need the words to the second verse'. I was shaking on the phone; this was right after Roth left Van Halen. Then at the last minute it got bumped off the record for "Tobacco Road", they thought they needed a cover. See there's those darn covers again." There is no known studio version of Roth's cover available to the public. This is the first of two Roth albums to feature the duo of Steve Vai and Billy Sheehan on guitar and bass. Throughout the album the two would often sync complicated bass lines together with the lead guitar parts, as on tracks such as "Shyboy" and "Elephant Gun". The album brought Steve Vai into the public eye as a contender with Edward Van Halen, the previous guitarist who worked with Roth. This album features some of Steve Vai's most prominent guitar work. Sonrisa salvaje (literally "Wild Smile") is the Spanish version of Eat 'Em and Smile. 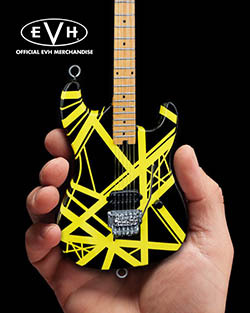 According to the Van Halen Encyclopedia, the idea to re-record the album in Spanish was the idea of bassist Billy Sheehan, who had read an article in a magazine which reported that over half the Mexican population was between the ages of 18-27, a prime record buying market. Roth re-cut all his vocals[when?] with the help of a Spanish tutor in the studio. He changed around some of the racier lyrics, so as not to offend the more conservative Spanish-speaking population. With the exception of the vocals, the basic music tracks are the same as the "Eat 'Em and Smile" version, with the only exception being "Big Trouble", which ends abruptly as opposed to fading out on the English version. According to Sheehan, the album wasn't well-received, with many people considering it "gringo Spanish". Any future Spanish-version ideas were dropped. Sonrisa salvaje was originally released on vinyl and cassette, but deleted almost immediately; a CD version did not appear until 2007. All of the liner notes on the original release were written in Spanish, except for the copyright notice and the Dolby noise reduction information on the cassette version. Last edited by bklynboy68; 01.28.19 at 06:18 AM. According to Sheehan, the album wasn't well-received, with many people considering it "gringo Spanish". Any future Spanish-version ideas were dropped. Sonrisa salvaje was originally released on vinyl and cassette, but deleted almost immediately; a CD version did not appear until 2007. Interesting. Always figured it was Dave's idea. Sheehan's? And what does "deleted" mean there? Production stopped? I had the lp. Picked up a CD a few years ago. Cool stuff! Why no Dave at Eat em and smile reunion?